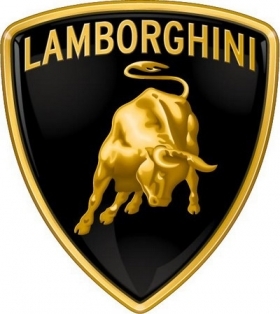 SHANGHAI -- Lamborghini said industry sales of ultra-luxury sports cars may slow as signs that China's economy is weakening puts off some buyers. "If you look at the economy right now, there may be some uncertainty to make people wait a little," Christian Mastro, Lamborghini's Asia Pacific general manager, said in an interview on Friday. "The number of people able to spend this kind of money is limited, it's not unlimited." The comments come as growth in the world's second-largest economy cooled to the slowest pace in more than two years in the fourth quarter and the trade ministry described the export outlook as "grim" last week. Lamborghini's sales jumped about 70 percent in the country last year as rising incomes pushed up the number of Chinese millionaires and stoked demand for luxury goods. The sportscar maker sold a total of 342 units in China last year, up from 206 units in 2010, overtaking the U.S. as its largest market. Lamborghini joins Rolls-Royce in forecasting more muted demand for ultra-luxury cars in China, which has grown to become the largest market for automakers from Audi to General Motors. Rolls-Royce Chief Executive Officer Torsten Mueller-Oetvoes predicted last month that China's growth will be less "explosive" this year. Total auto sales slowed last year after the end of stimulus measures and the economic expansion showed signs of easing. Lamborghini aims to boost deliveries in China by 20 percent to 30 percent, less than half the pace of last year. Despite a slowdown in supercar sales in the region, Lamborghini still can't produce enough of the $1 million Aventador LP 700-4 to meet the 18- month waiting list, Mastro said. The company also sells the Gallardo in China. Lamborghini plans to make 900 Aventadors globally this year and has sold out all 80 it allocated to China this year, Mastro said. The company has no immediate plan to raise the quota so as to ensure supply for other regions, he added. Makers of supercars have come to a consensus that the segment will grow about 25 percent in China to about 2,000 cars this year, versus a doubling in 2011, Mastro said. Lamborghini plans to spend 20 percent more on marketing this year and will hold more events such as track drives to spur sales, Mastro said. The Italy-based company will also expand the number of dealers this year by six to 20, opening in smaller cities outside Shanghai and Beijing such as Xi'an, Nanjing, Changsha and Shenyang, he added.